Kat and Karl : The Tears :: They're Made of PAPER. It's PAPER. The Tears :: They're Made of PAPER. It's PAPER. 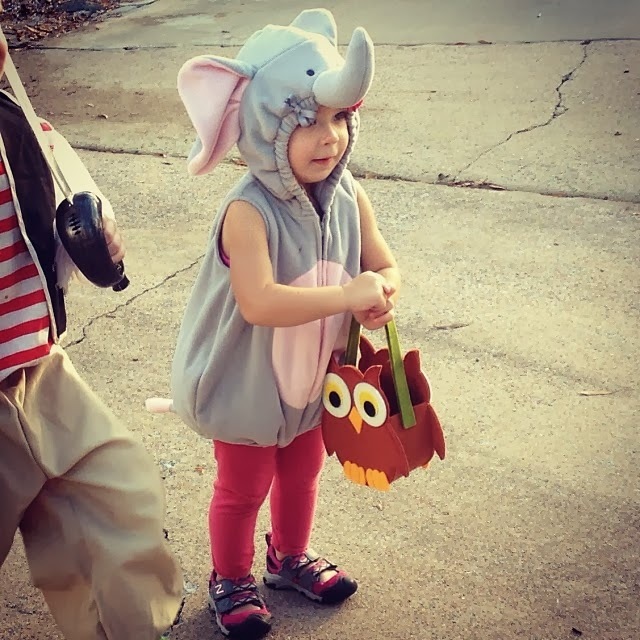 I had one elephant and one pirate (dressed in his daddy's pirate costume from loooong ago! 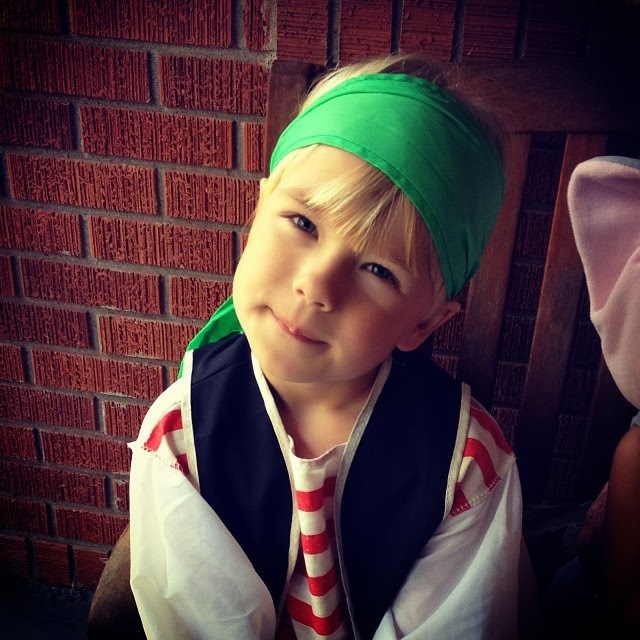 He wanted to be a football player for approximately six months prior to Halloween and then, days before, decided pirates were way better - Gigi to the rescue!). 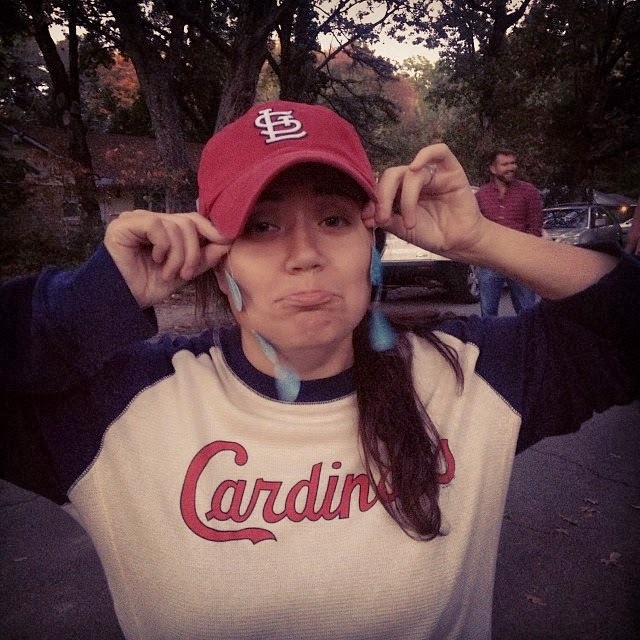 And my own (BRILLIANT) sad fan costume because, let's face it, I would have rather CANCELLED Halloween and watched the Cardinals win a Game 7 World Series on Halloween night instead of walking around with the kiddos, holding strung-together paper tears to my eyes and consuming copious amounts of Sour Patch kids and mulled wine! (Thank you, new neighbor, for the mulled wine. I could maybe get used to life on Waverly Drive if there is always mulled wine involved!) Though, I will admit, the candy and the friends and the wine were an excellent alternative to worshiping at the altar of Cardinals baseball. Fun was had by all.